More than just a coffee maker the FLAVIA Creation 500 provides a no mess, easy and quick to clean and fill solution. 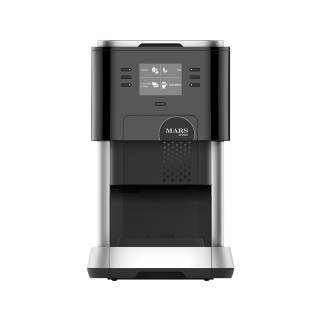 It delivers consistently good quality drinks (Coffee, Tea, Herbal Tea, Cafe Specialities and Hot Chocolate) utilising industry leading reliable technology – fully compliant and independently tested to UK safety standards. The FLAVIA C500 has a sleep mode, which can be set to turn off after a predetermined period and with two boilers, managing the heating of one cup’s worth of water at a time, the FLAVIA is extremely environmentally friendly. OK, you have a kettle and of course we aren’t going to be cheaper as the FLAVIA is a professional, office coffee machine. Professional companies ditch the Kettle and instant coffee and provide a higher quality solution. The FLAVIA C500 is designed for office use and is much more energy efficient than a kettle. Boiling one cup at a time, making a drink quicker all whilst using less energy.